When Christine Lagarde was named the new IMF managing director last Tuesday, the announcement came as little surprise to many of those who had been paying attention to the selection process. Lagarde had long been considered the front-runner in the race to replace the embattled Dominique Strauss-Kahn, who, of course, stepped down in May following accusations of sexual assault. But if few would doubt Lagarde’s credentials—she is a high-ranking economic minister in France and held other cabinet positions prior to the Sarkozy administration—some have begun to question France’s long-standing dominance over the IMF. 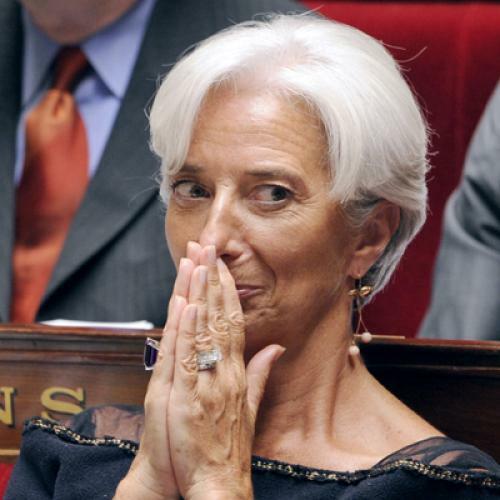 When Lagarde takes over this week she will become the fifth IMF chief from France and just the eleventh appointed IMF chief ever, which raises the obvious question: Who, or what, made France the hegemon? The IMF was founded, alongside the World Bank, as a result of the Bretton Woods conference in 1944. A gentleman’s agreement stemming from the founding meetings—at which the only European representation was British—holds that an American will always occupy the top spot of the World Bank, while a European will lead the IMF. But as for why the French appear to dominate this European designated post, the experts I talked to appeared divided. Jeffrey Frankel, a Harvard Kennedy School professor who has consulted for the IMF and World Bank, explained that France’s persistent leadership may be because the country is just the most, well, European. “This is a gross nationalistic stereotype, what we say we should get away from, but [the thinking is that] it should be a European, and the Brits aren’t really European, they’re too close to the Americans, so they can’t represent Europe,” he told me. “Germans? It’s too close to World War Two. Italy isn’t really trustworthy on economics.” That leaves France, owner of Europe’s second-largest economy (behind Germany), one of its most populous states, and host to a proud tradition of prominent economic and political schools, the Grandes Ecoles. Dani Rodrik, one of Frankel’s colleagues at Harvard, has a slightly different perspective, however. He contends that, quite often, the French have ruled because the French options have simply been the better ones. “The French have a great tradition of public service associated with the French treasury who have gone on to bigger and better things in international multilateral organizations, so I would say the pipeline is fairly large, between the influence of the Grandes Ecoles and the traditional public service in France, which is much stronger than the other countries’s,” he explains. But Frankel says this possibility—and others like it—would likely not go over well in France. “Most countries want their own nationals in these positions, [but] the French are just fanatic about it,” he told me, explaining what the reaction would be if France were to lose the IMF or European Central Bank (which is currently led by Jean-Claude Trichet, former president of the Banque de France). “When there’s a slight risk that the board of the European Central Bank might not have a Frenchman on it, well ….” His voice trailed off.